As the primary care physician shortage continues across the United States and state and federal regulators expand the scope-of-practice responsibilities for family nurse practitioners (FNPs), these advanced practice nurses are increasingly filling vital roles in small towns and rural communities across the country. 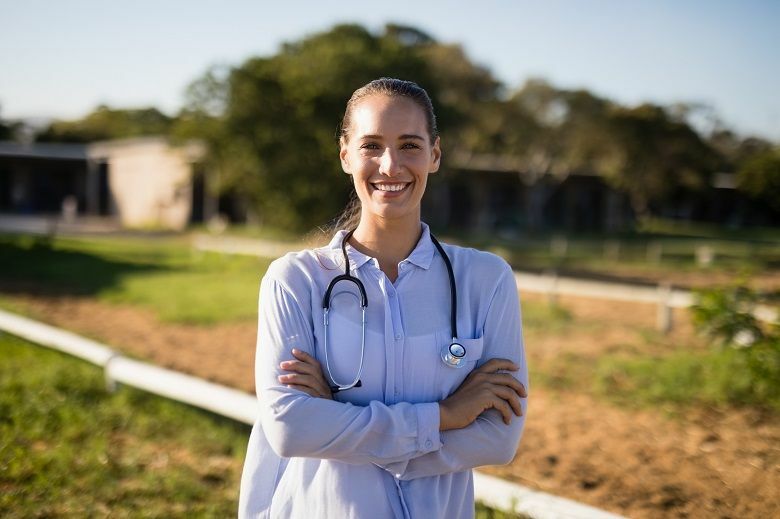 Some of the most recent research, from 2016, shows nurse practitioners (NPs), including FNPs, account for about 25 percent of healthcare providers in the rural areas of the United States. In comparison, NPs accounted for about 17 percent of providers in rural areas in 2008. The study, published by the journal Health Affairs, found states that allow NPs to practice and prescribe medication without physician oversight have the highest number of practicing NPs, but the fastest growth in NP practice is in states with reduced or restricted scopes of practice. While more work needs to be completed to grow the number of FNPs practicing in rural areas, researchers and healthcare professionals are encouraged by the progress. Registered nurses (RNs) cite many reasons to become family nurse practitioners, including the desire to assist adults and children who have limited access to healthcare. Rural family nurse practitioners provide vital services to underserved populations that have inadequate access to resources. RNs who become FNPs through online master’s in nursing programs work on the front lines of the battle against chronic illnesses that have crippled generations of families. The residents of rural communities have historically been cut off from healthcare services because many do not have the money, transportation or job flexibility to get care. In addition, many rural communities lack healthcare facilities for patients to access care. Since there are fewer resources in rural America, residents have limited options for care. In many cases, chronic illnesses go untreated or undertreated because of a lack of services or a lack of money to pay for treatments. FNPs fill in care gaps. The most common chronic illnesses affecting rural America include heart disease and stroke, cancer, diabetes, chronic respiratory conditions, arthritis and HIV/AIDS. Other factors contributing to the lack of disease management include aging (older people tend to have multiple chronic conditions), poor weight control (obesity leads to diabetes and heart problems), smoking and environmental factors (such as poor water and air quality and exposure to pesticides). Residents of rural communities also lack access to care for short-term illnesses such as cold and flu symptoms or minor injuries and broken bones. In rural settings FNPs help patients by treating symptoms, ordering testing, setting bones and suturing wounds. The lack of nearby emergency medical services means FNPs are often providing care for patients who are victims of life-threatening injuries. Studies show drivers and passengers involved in motor vehicle crashes in rural areas are up to 10 times more likely to die than in urban areas. The increased death rate is partly due to the scarcity of emergency medical care and poor adherence to seat belt laws. The American Association of Nurse Practitioners (AANP) estimates about 155,000 NPs are practicing across the United States. While about 88 percent of NPs specialize in primary care, only about 18 percent (or about 26,600) practice in rural settings. At the same time, the U.S. Department of Health and Human Services designated 6,871 locations in the United States (including geographic areas, populations and facilities such as prisons) as having primary-care provider shortages. Of those, 4,070 locations (with an estimated 22 million residents) have been designated as rural communities. States across the country have varying levels of regulations on FNP practice, ranging from full authority (including the authority to prescribe medications) to reduced practice (restrictions on some elements of practice) to fully restricted practice (which requires NPs to be supervised by licensed physicians). However, in the past two decades, states have increasingly removed barriers that have hindered the expansion of FNP practice. As of 2018, 22 states and the District of Columbia allow full practice, 16 allow reduced practice and 12 only allow restricted practice. In 2016, the U.S. Department of Veterans Affairs authorized full practice authority to NPs through all VA locations, including the rural areas of the United States. More recently, the Federal Trade Commission (FTC) backed changes to Pennsylvania’s Professional Nursing Law to allow full independent practice for NPs after three years of collaboration with a physician. The FTC said autonomous practice is vital to Pennsylvania because the state has the third largest rural population in the nation. “Almost one-half of the doctors in Pennsylvania practice in only three counties despite the fact that approximately three-quarters of the state’s population lives in the remaining 64 counties. Fifty-five of Pennsylvania’s 67 counties contain federally designated Health Profession Shortage Areas (HPSAs) or Medically Underserved Areas (MUAs),” Tara Isa Koslov, the acting director of the FTC’s Office of Policy Planning, said. Working as an FNP in any community means assuming the responsibility to provide care for all individuals across the lifespan, from infancy through adulthood, including prenatal care. Many FNPs who work in rural areas are the only healthcare providers for hundreds of miles, so the responsibility takes on an even greater meaning. In addition to provider duties, FNPs are also responsible for the business side of nursing, including hiring, firing, billing and policy. To fill all of these roles, FNPs must be well versed in both the health and business sides of nursing practice. At Duquesne University, online master’s in nursing students learn the essentials of working as FNPs, from evidence-based practices and pharmacology to health promotion and disease prevention. The university’s online MSN-FNP and post-master’s FNP certificate programs provide students with the knowledge they need to help all communities, including the underserved population in rural America. Duquesne University’s online master’s in nursing programs prepare graduates for careers as FNPs working alongside physicians and in private practice. Duquesne University provides one-on-one faculty support to encourage success at every step. The program prepares students for the American Academy of Nurse Practitioners Certification Board (AANPCP) and American Nurses Credentialing Center (ANCC) Family Nurse Practitioner certification examinations. For more information, contact Duquesne University today.